Find out more about the Green Party’s attacks by clicking here. One of the more ironic developments in Canadian politics recently is Elizabeth May and the Green Party’s sudden and bizarre attack against Israel. Green Party members are gathering for their convention this August. Delegates will consider 13 policy resolutions, only two of which deal with foreign policy. What’s surprising, is that both target a country that holds the distinction of being the only liberal democracy in the Middle East, as well as being one of the greenest countries in the world (hey, if you don’t believe me, just ask Yale University). The first resolution calls for Boycott-Divestments-Sanctions (BDS) against Israel. Now, BDS is discriminatory, hateful, and harmful to Israelis and Palestinians alike. This explains why BDS has been repeatedly rejected by universities, businesses, political parties, and many voices in the peace movement. The second — which Elizabeth May herself has sponsored — would blacklist the Jewish National Fund (JNF) by calling for its charitable status to be axed. The JNF, in case you’re unfamiliar with its work, is one of the world’s leading environmental charities. That’s right. Elizabeth May and the Greens want to blacklist an environmental charity, simply for their connection to Israel. Greens blacklisting environmental charities. 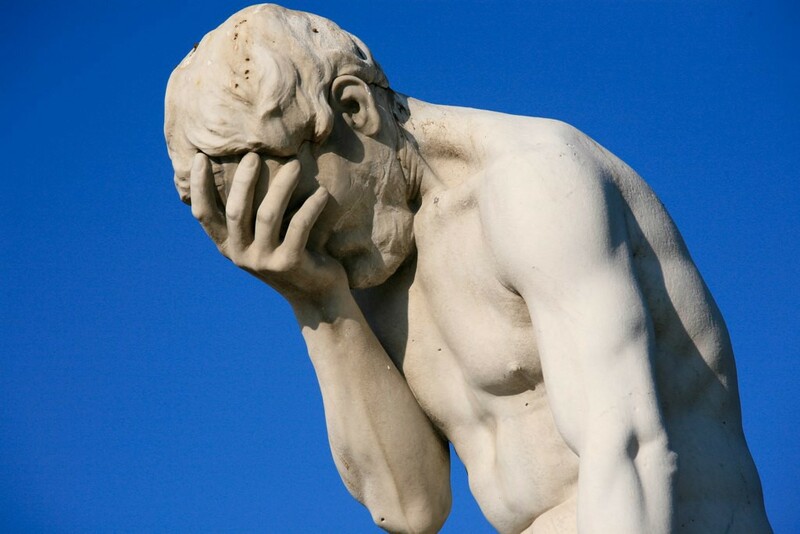 Total face palm. Judging by the reaction to our campaign calling out the Green Party for these attacks, people are pretty ticked off. Despite the best efforts of the Green Party, the Canada-Israel friendship is stronger than ever. It is based on shared values between our two countries — including a commitment to protecting the environment. 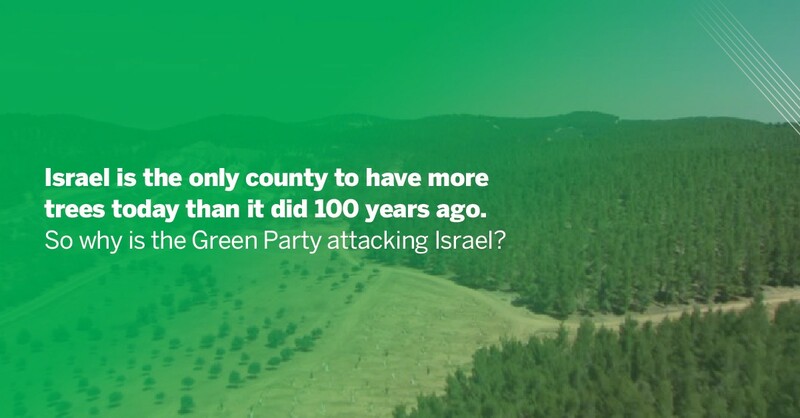 Rather than attacking one of Canada’s closest friends, the Green Party should look to Israel as an example of what an environmental leader should be. 1. Israel was the only country in the world to enter the 21st century with more trees than it had 100 years ago. In fact, over 260 million trees have been planted in the last 50 years alone. This is in sharp contrast to Canada, which was named ‘the largest contributor to deforestation’ by Forest Watch in 2013. What’s most ironic, is that at least 240 million of those new trees were planted by the JNF — the very same charity Elizabeth May and the Greens want to blacklist. 2. Israel is the world’s leader in green technology. From developing a bacteria that ‘eats’ oil to help clean up oil spills, to natural pesticides that aren’t harmful to the environment, the Start Up Nation is at the forefront of innovation that is protecting our planet. In fact, the World Wildlife Fund ranked Israel as number one in the world for their development of clean technology. This is a fact that seems to be lost on the radical BDS crowd in the Green Party that would boycott the very same Israelis and Israeli companies that are developing Green technology. 3. No other country in the world comes even close to matching Israel’s water conservation record. Israel treats 92% of its wastewater and reuses 75% in agriculture. Not only that, but drip irrigation — a cutting-edge technology that is helping preserve the world’s water supply — is an Israeli invention. This incredible record explains why California turned to Israel when they were facing a potentially devastating water shortage. 4. Israel is sharing its water surplus with its neighbors. Not only is Israel one of the only countries in the Middle East to have gone from having a water deficit to having a water surplus, but it’s using that surplus to ensure that citizens that live in neighboring countries (many of which are hostile to Israel) have access to clean, fresh water. 5. More than 83% of Israeli homes make use of solar energy. That’s an incredibly high percentage of homes that are not relying on dirty fossil fuels for electricity. Here’s the best part: another resolution that will be considered at the Green’s convention would set aside $10 billion so that Canadians can start making better use of solar technology. 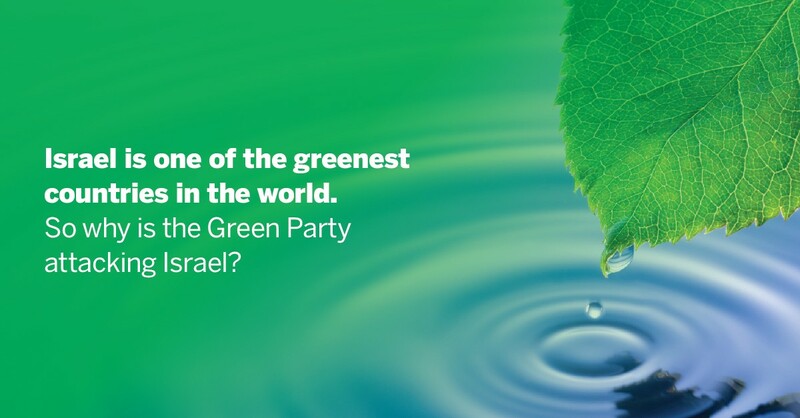 Rather than boycotting the Israelis who already have such an impressive record in clean technology, the Green Party should look to learn from them. 6. Israel’s own Green Party has called on fellow Greens around the world to reject BDS. 7. The JNF has built over 1,000 parks across Israel. Given that one of the resolutions to be considered at the Green convention would have the government create a National Urban Park Strategy, this is an important detail about the JNF’s work that should be of interest to Elizabeth May and Green Party members. No doubt a Green Party government looking to build urban parks could learn from the JNF — as long as they don’t blacklist them first. Send Elizabeth May and the Green Party a message. Go to www.cija.ca/green and tell them attacking Israel is unacceptable . Feel free to mention how ironic it is too.